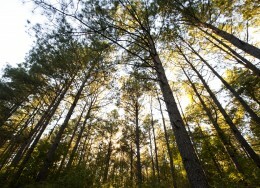 Jasper Lumber Company participates in the Sustainable Forestry Initiative® Certified Sourcing Program, which ensures that all of the wood fiber purchased by Jasper Lumber comes from sources where responsible forestry practices are used. This includes the use of Professional Logging Manager trained contractors who properly implement Best Management Practices while harvesting. The company’s procurement policies are tailored to the objectives developed by SFI. Annually, the company is audited by a 3rd party Certification Body to ensure compliance with the SFI Standard (2015-2019 Edition). The company is also a participant in the Alabama SFI Implementation Committee (SIC) with other forest products companies that help to promote sustainable forestry.